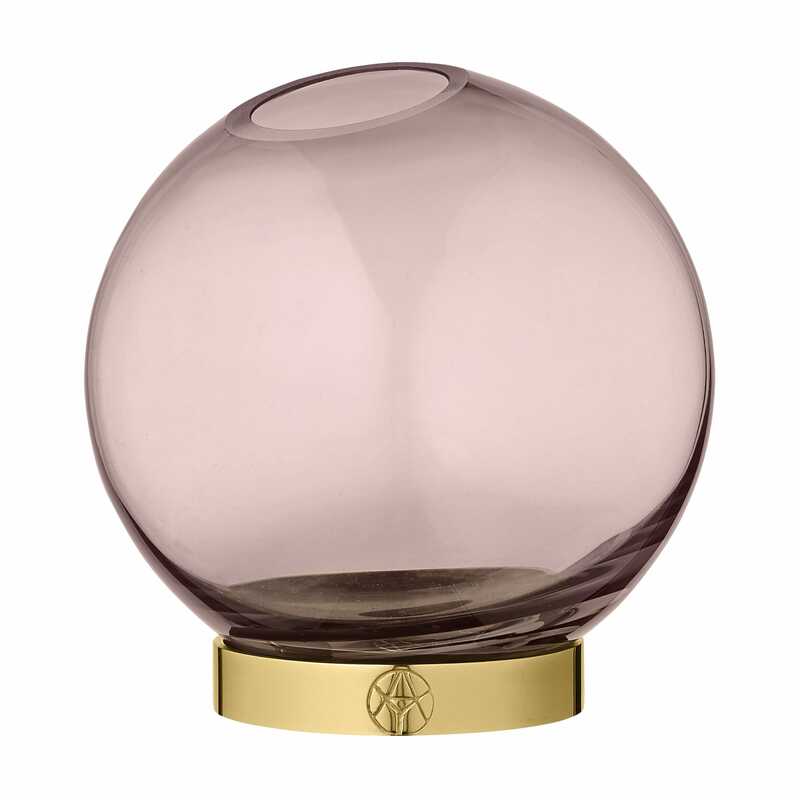 AYTM Globe Vase Rose large with brass ring is a elegant glass bowl on a brass ring. The classic shape placed on an elegant brass base has appealed to many since it was launched. The opening of the glass can be set in any position. Use it for flowers, a plant or storage.